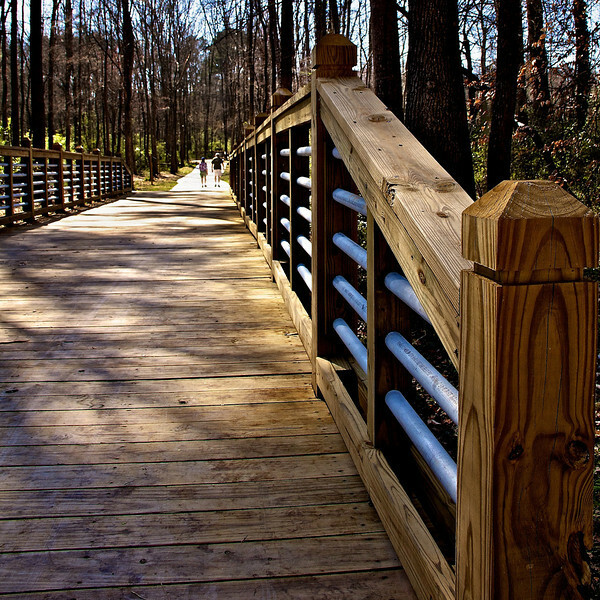 The Camp Creek Greenway, otherwise known as the Lilburn Greenway in Gwinnett County, Georgia offers an east-west connection through the town of Lilburn. The greenway connects community facilities, educational institutions, commercial properties, neighborhoods, and private residences together. The project was funded in two phases. The first phase runs from Rockbridge Road along a former rail bed to Killian Hill Road and used $600,000 in TE funding along with a $150,000 local match to fund the 10 foot wide paved path. The second phase of the greenway runs from Killian Hill Road to Arcado Road and used $1.07 million in TE funds along with a $267,500 local match. The total investment of $2,087,500 has helped to create a safe and active transportation corridor for local residents.